This Global Featured Business operates under two separate brands (Roccet Engraving and Roccet ID) and is located in the Hunter Valley, Australia. Tell us a little about Roccet Engraving and Roccet ID and the team? 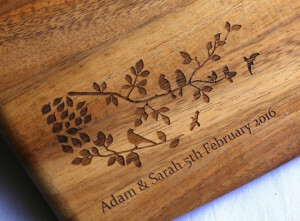 Roccet Engraving is a laser engraving business based near Maitland, NSW. We laser engrave a wide variety of materials including glass, wood, acrylics, leather and others. We laser mark some plastics and metals, including stainless steel and aluminium. 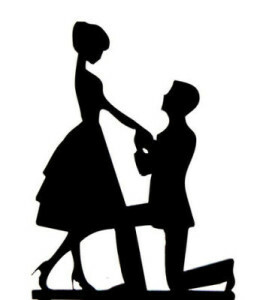 We also can laser cut MDF, plywood and acrylics, as well as some thinner materials such as paper and card. Roccet ID was created initially to provide an ID solution for runners to wear on their wrist. It was quickly realized that there was a vast range of people who could benefit from a wristband id such as allergy suffers, people with medical conditions and other sporting people that may often train alone. Away from Roccet Engraving I do a bit of running, 40 – 50kms a week. I also enjoy reading, motorcycling and the movies. I got into laser engraving after being interested in how various labels were made that I had daily contact with when I was working in the mining industry. I enquired about a rotary engraver but was introduced to Epilog laser engravers and was amazed at their capabilities. I do virtually anything that my machine is capable of. Small personal engraving, larger engraving of labels, glasses for weddings other businesses, stainless steel plates, electrical switch plates. 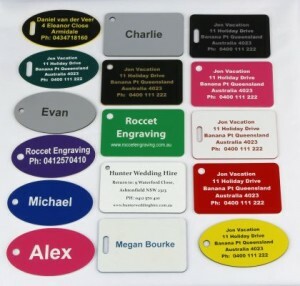 A big part of my business is Roccet ID which involves annealing of stainless plates for my ID wristbands, name badges and luggage tags. I enjoy all my work but one of my more recent jobs was very rewarding. 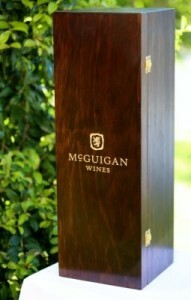 I engraved 20 wine boxes for McGuigan Wines and then gold filled them for a really classy look. On the personal side I engraved a wooden box that was going to contain the ashes of a victim from a shark attack that occurred at Byron Bay. I don’t really have an ultimate job, I would just like a large collection of regular customers anywhere in Australia that come to me because of the high values that Roccet engraving strives to achieve. If it fits in a mail satchel I can post anywhere in the country. 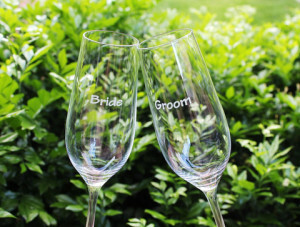 It would be really great to be able to engrave glasses for the wineries around the Hunter Valley. I would also like to expand on the laser cutting side of things. What I would really like though is for Roccet ID to be the number one place for Australians to go for personal ID. Make your own I Love Dad wooden tie! We love this laser fashion competition!